Will the real Marvel fans, please stand up! Hello there! hope you’re alive after that deadly snap of Thanos in the Infinity War. 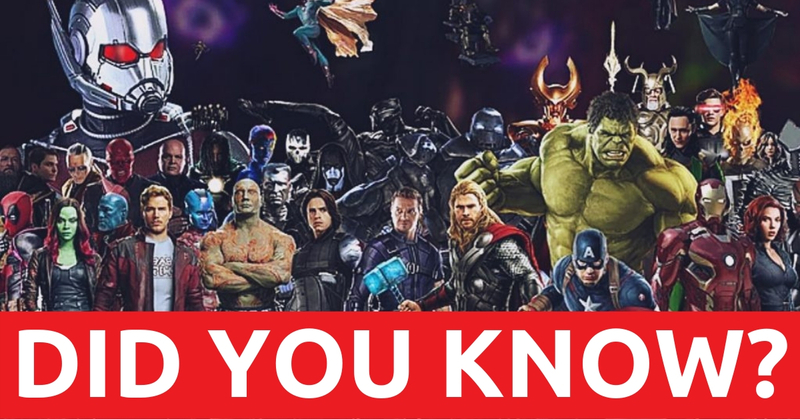 If yes, then congratulations because you are among those lucky remaining 50% of the population who can read this blog full of trivia and easter eggs from every MCU movie. You might have seen some of these, but not all, and we’re pretty sure about that. What’s your count, let’s see! If you hadn’t already noticed this then let us tell you that there was a slight timeline goof up in Spider-Man Homecoming. 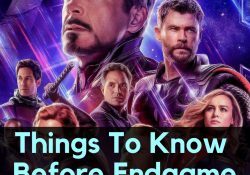 The movie starts with the destruction caused by Chitauri, then fast forwards to the Civil War, and finally comes back to the present times where he saves the giant aircraft carrier that is moving stuff to the new facility at the upstate. But, this is the thing that you might’ve missed. 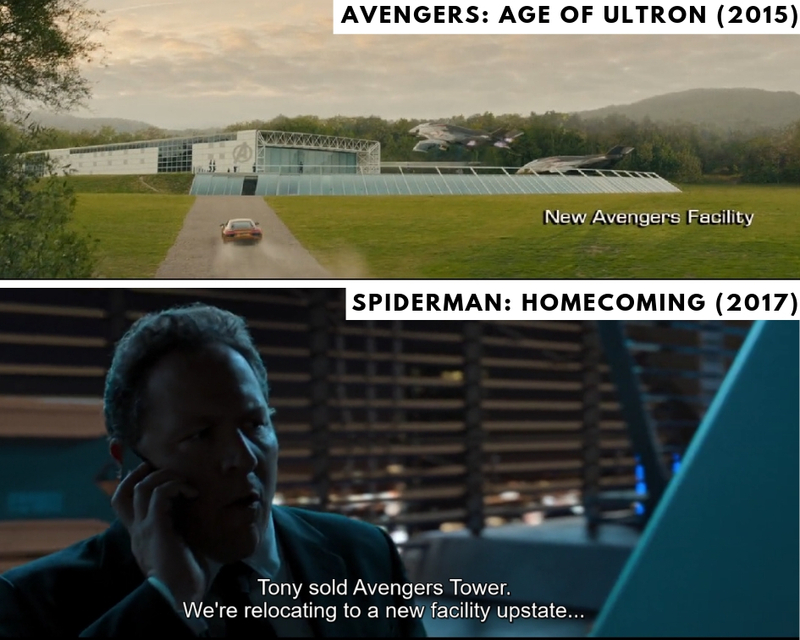 We have seen the Avengers facility already moved to the upstate after the Civil War which is clearly shown at the beginning of Avenger Age of Ultron. Help yourself with the following images. Something doesn’t sum up. Although MCU admits the mistake, at least we get a glimpse of the new suit of our friendly neighbourhood Spidey, aaaand this? 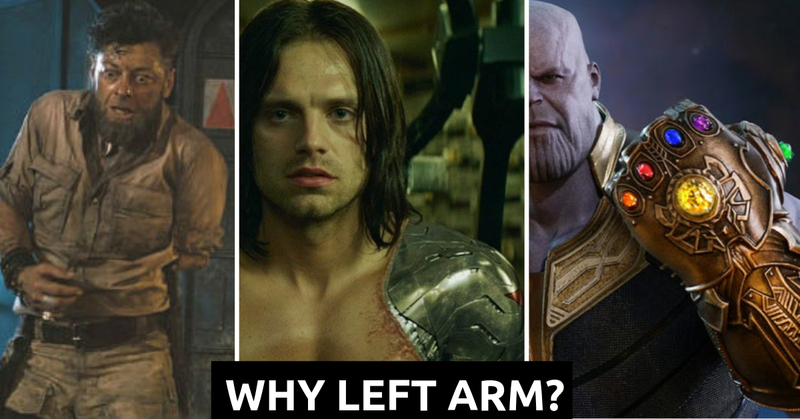 There seems to be an intentional connection of MCU and the left arm of important characters in it. What are we talking about? 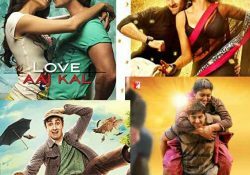 Read the following sequences and see for yourself. Tony endures a tank shell on his LEFT ARM. In Iron Man 2, after a fight with Whiplash, Jarvis reported damage to the LEFT ARM. Tony mentions explicitly that his LEFT ARM feels numb. During the fight scene at the airport, Scarlet Witch drops a lot of cars on Tony, and one of them found its way to Tony’s LEFT ARM. Towards the end when Tony fights with Cap and Bucky, he falls from the top of the chimney and breaks the fall with his LEFT ARM. Tony’s LEFT ARM is visibly shaken when he is India. Tony is seen rubbing his LEFT ARM when he comes to meet Peter. Swipe right to see all the videos. Not only Tony, but Bucky also suffers from a left arm injury. Also, if you remember, Ultron cuts off the left arm of Kalue. And lastly, in which arm does Thanos wear his gauntlet? Which arm? LEFT ARM. 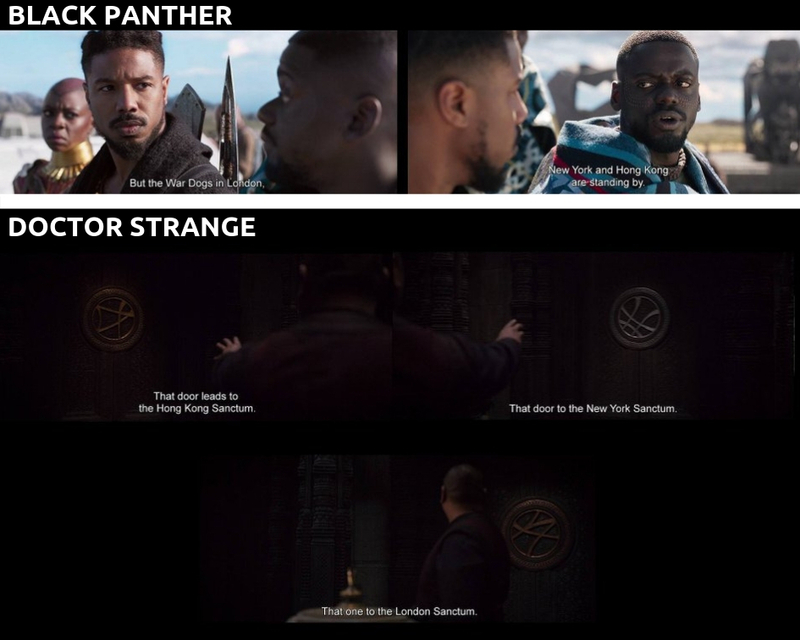 Are Black Panther and Doctor Strange Teaming-Up? During his short span of being the king of Wakanda, Killmonger plans to sell weapons from Wakanda to London, New York and Hong Kong. They are the countries where the three Sanctums of Kamar-Taj are located (Doctor Strange). Is he selling some spiritual weapons, to weaken earth down for a potential second invasion by Dormammu? Hey! we’re just jumping to the conclusion, alright? How do we remember Barton’s first appearance? You might say the first Avengers. But no. 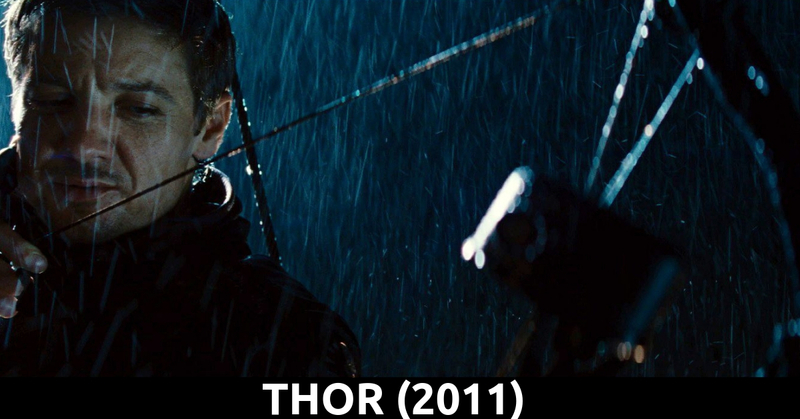 Hawkeye first made an appearance in Thor when S.H.I.E.L.D sent its archer to take Thor down. 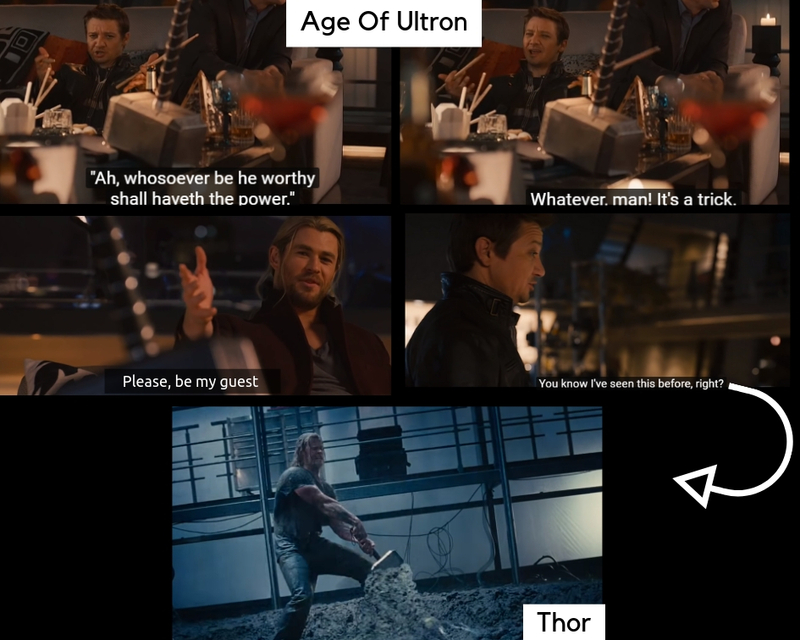 This moment is remembered in Age of Ultron as well when Thor calls upon his fellow Avengers to lift Mjölnir. Should We Get Ready For the LEADER HULK? In ‘The Incredible Hulk’, During the notorious creation of the Abomination, we see Dr Sterns falling on his head, injuring himself and being exposed to the Hulk’s blood. It might be a major foreshadowing as Dr Sterns’ head grows larger and The Leader is born. “Leader Hulk” is a very notorious nemesis of the Hulk in the Marvel comic books. The group that kidnaps Tony Stark is called “Ten Rings”. 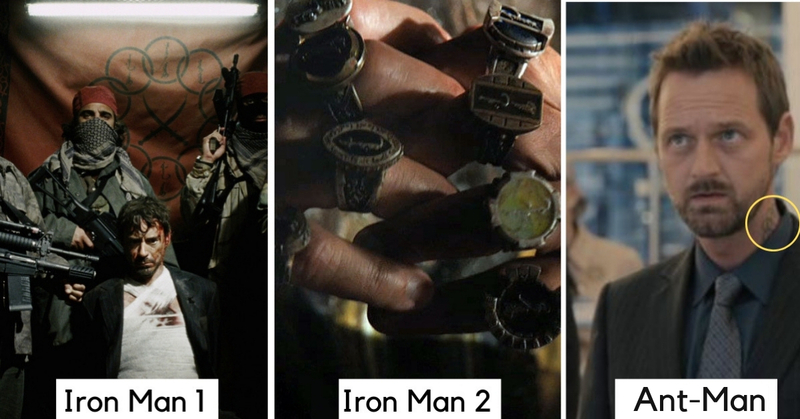 In Iron Man 2, Mandarin is also shown with the symbol of the “Ten Rings”. In Ant-Man as well, when Darren Cross calls Hydra to the meeting, the Hydra Member has the same symbol on his neck as a tattoo. The “Ten Rings” seems to be in an integral part of MCU now and we can expect them to show in the next phase of MCU movies. 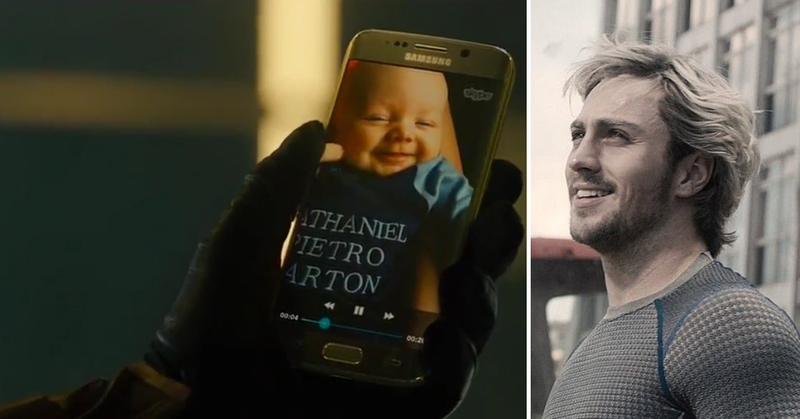 The son of Clint Barton who is born at the end of “Age Of Ultron” is named after Pietro aka Quicksilver who saved Barton’s life in the movie. That sure is a heart-warming gesture, isn’t it? And people wonder why we missed Hawkeye in Infinity war? Pfff! Here’s a funny scene. When Nathaniel was still in the womb, Natasha (Black Widow) calls him a “Traitor” as she wanted him to be named after her but now he will be called Nathaniel, and not Natasha. 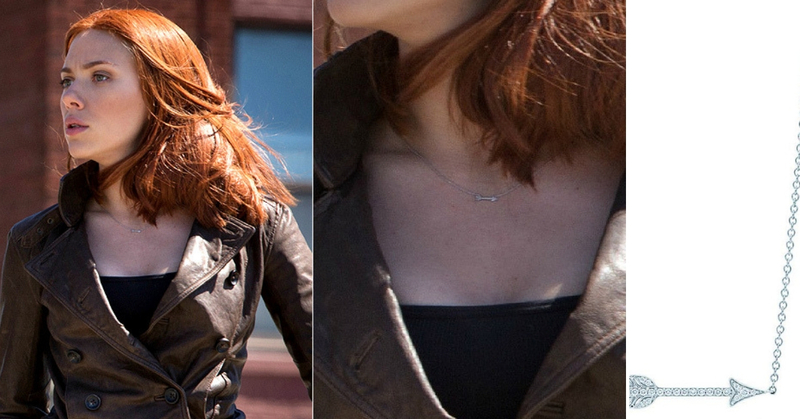 In Captain America: Civil War, Natasha wears a necklace which is in the shape of a miniature Hawkeye arrow. We’re pretty sure that you have missed this one. So does this suggest that there could be something going on in here? Something romantic? Platonic? You be the judge. 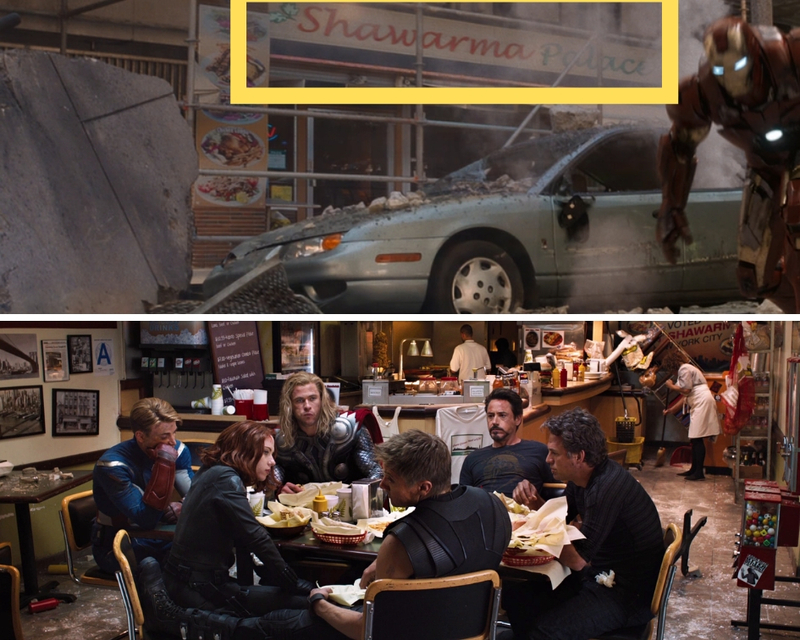 During the epic fight scene in the Avengers, Tony lands in front of the fabled Shawarma joint, he says about visiting after dispatching the Chitauri army. Well, surprise, surprise! they do visit the joint during the post-credit scenes. Did You Notice These Comic Legends in Thor Ragnarok? Thor Ragnarok has been remarkable in foreshadowing details, making marvel fans wonder how much studies Taika Waititi (the director) put into the storytelling and picturization. 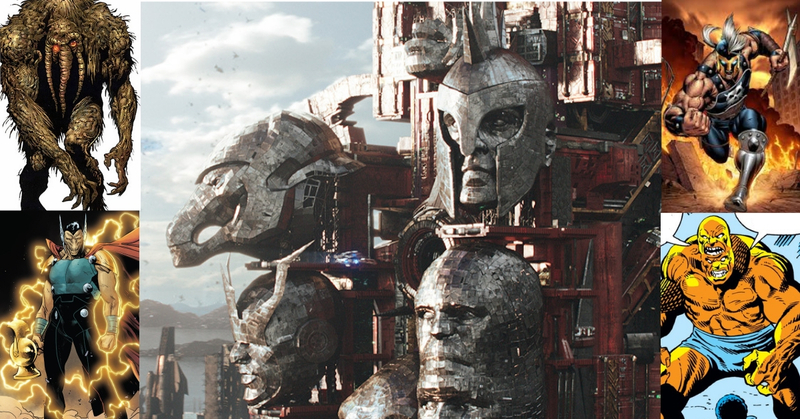 As we see Thor running out of Sakaar, we come across the statues of Bi-Beast, Beta Ray Gill, Ares and even Man-Thing. 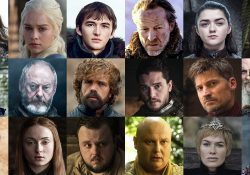 you gotta admit, these are some fascinating little details for comic fans. 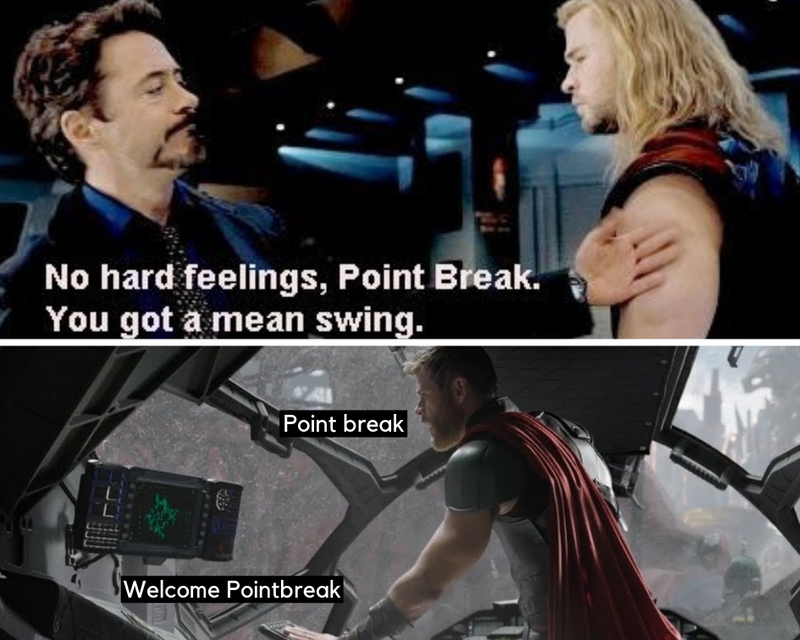 One more detail that was small enough to be missed but Waititi still worked on it was the name Thor had in the Quinjet was Pointbreak. Remember Tony calling him Pointbreak (one more nickname under his legacy of calling people funny). #Mindblown. Our Avengers are marching right in for the Endgame, in April. All set up to save the world. Be sure to be a part of the large legacy. Know any more Easter Eggs? Be sure to drop them down below!